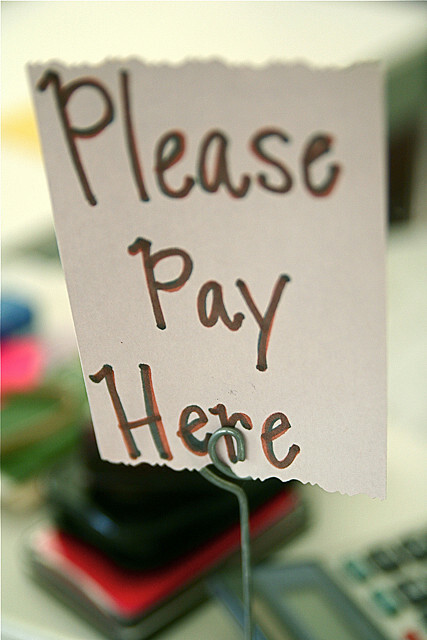 When you stop and think about it, there are actually a lot of different ways for a Business to accept payments. You might take payments online or in person; through card, cash or check; or, increasingly, through various digital payment methods that are becoming more common by the day. Really, if you own or operate a business, it's best to open yourself up to accepting as many different forms of payment as possible. In doing so, you're not missing out on any one potential customer's preferred method. But it's most important these days to focus on some of the more advanced methods to give your business the modern edge it needs moving forward. On the simplest level, this means setting up any store locations you might have to make the paying experience as simple and efficient as possible for your customers. The first step in this process may be to move beyond the till—or, more specifically, invest in portable card payment machines that can be used either on the countertop or out and about in the store. Even simpler (and possibly more efficient), some modern businesses are achieving the same result by taking advantage of mobile card reading systems. Worldpay explains that with such a system, business employees can accept payments anywhere with mobile coverage, without necessarily needing to connect the mobile payment device to a phone (which is another option). This allows employees to go to customers and offer a much quicker process than the typical one of going through a line and waiting for a cash register. It's also worth noting that most modern Mobile Payment Systems or even countertop card-swiping machines also carry the capability of facilitating contactless payments. This means that customers using any of the various tools that can upload digital representations of credit cards can then be scanned for payment. This is generally considered to be even quicker and less cumbersome than a card swipe, and it's preferred by a growing number of consumers. Whether or not you'll get many customers to pay this way who might not have taken the time to swipe a card or approach the counter is debatable, as the benefit from a pure sales numbers standpoint is difficult to determine. But enabling this payment gives any business a distinctly modern atmosphere that's inviting to more tech-savvy consumers. When it comes to the online aspect of your business, there are important payment adjustments to make there as well (if indeed you're trying to sell products on the web). Building an E-Commerce system is generally the easy part, but it's increasingly important for that system to accommodate more than just credit cards or PayPal transfers. This past summer, Mac World published a list of Apple Pay's participating banks, and that alone proves just how much of the world is transitioning to electronic payment systems that incorporate all of their cards. Similarly, some would argue it's a good idea for a modern business with an online store to accept Bitcoins as well. Kabbage posted an interesting debate about the pros and cons of Bitcoin for small businesses, but the truth is there's now little risk or complication in allowing Bitcoin payments. Some services automatically take any Bitcoin you receive and switch it out for the appropriate value in ordinary currency. All things considered, it's quite simple to optimize your business for modern payment methods. By making payments quicker and more accessible in stores and allowing for various popular electronic money transfer systems online, you'll be accessible to most any customer.